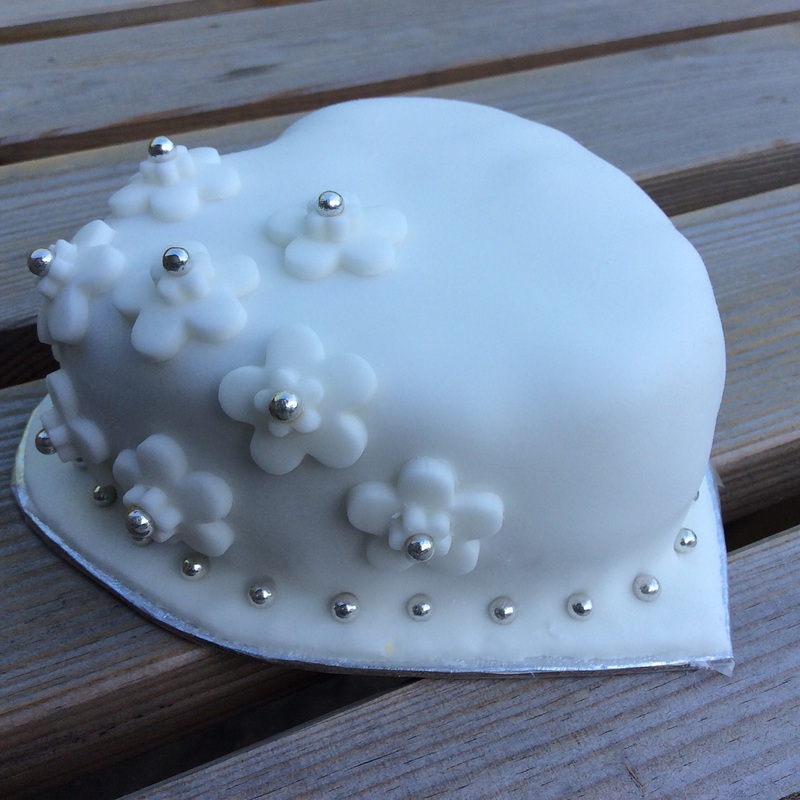 Again I am linking in with other bloggers via http://www.bakingqueen74.co.uk for the July 2015 Perfecting Patisserie Blogging Challenge. 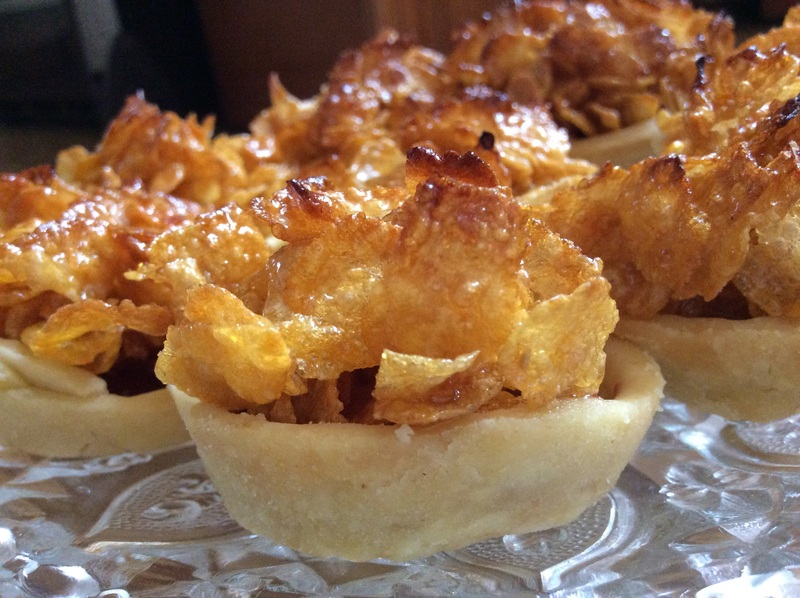 This bake consists of 3 elements (Frangipan, Gluten Free Creme Patissiere, Gluten Free Rough Puff Pastry) and requires plenty of patience. 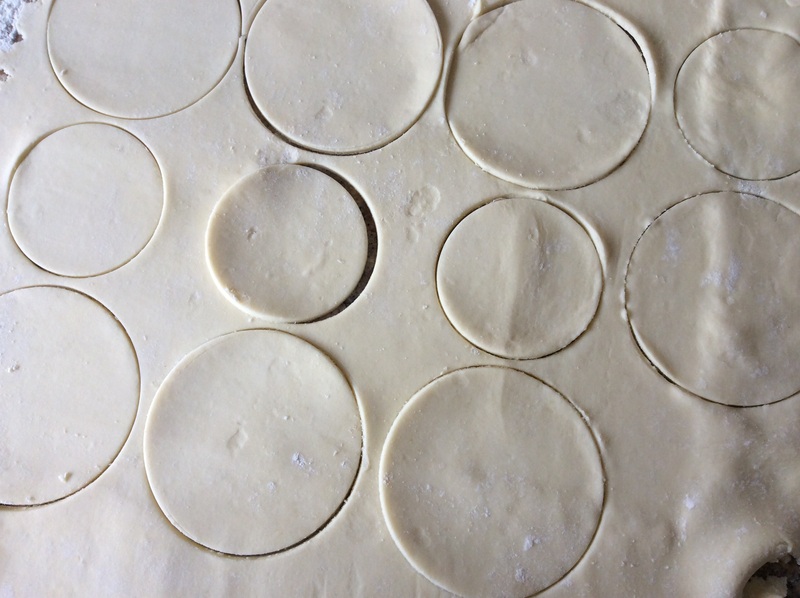 It will make roughly 10 mini Pithivier’s. And will take around 4 hours to make and bake from beginning to end. 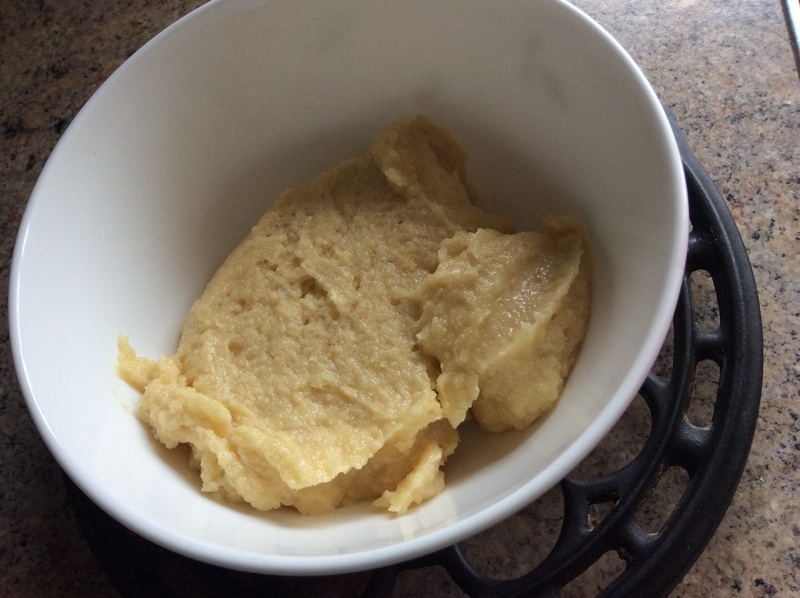 Firstly make the Frangipan – beat 50g of soft butter with 50g caster sugar until soft and creamy. Beat in one egg and then 1 teaspoon of almond essence. Then mix in 50g ground almonds until will combined. Set aside. Then make a small batch of Gluten Free Creme Patissiere. Whisk until pale 1 egg yolk with 10g caster sugar. Then stir in 10g Dove Farm gluten free plain flour. Bring to a quick boil 80ml Double Cream, 10g caster sugar and 1 teaspoon almond essence. Pour half of this onto the egg mix and whisk well. Then pour this egg mix back into the pan. You need to cook the flour, which will need a minute or so. The mix will also start to thicken and will all happen fairly quickly, so don’t leave the pan and stir continually. 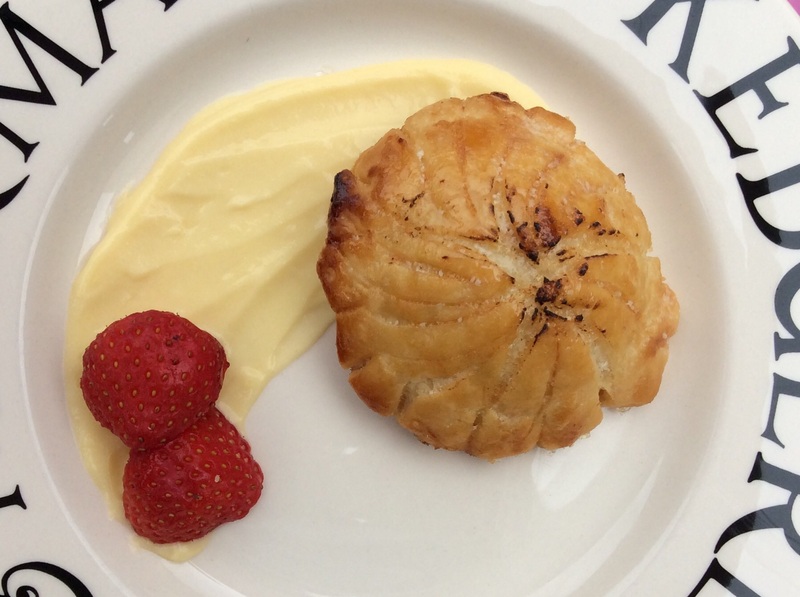 You don’t want lumpy custard! 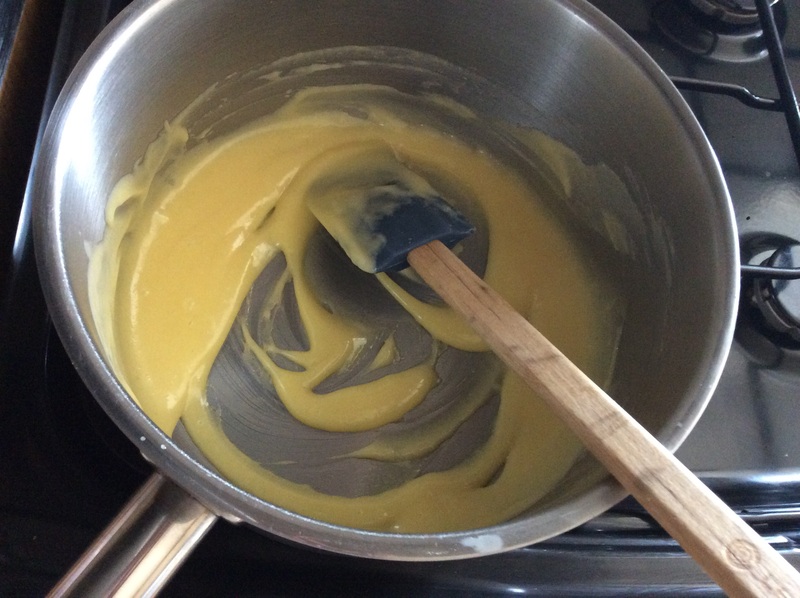 Remove from the heat if you need to, as the heat from the pan will continue to heat and cook the custard mix. Spoon into a fresh bowl, cover with cling film and leave to cool. It should set nicely. Once cool mix with the Frangipan. If this is a stage too much you could leave out the Creme Patissiere. It just makes the Frangipan a little lighter. 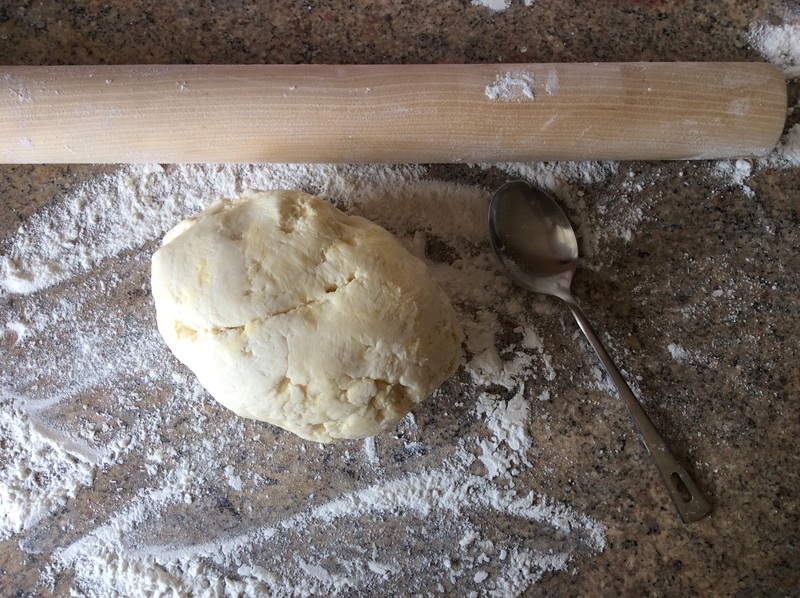 Firstly rub in 60g of the butter into the flour and Xanthum gum to form breadcrumbs. 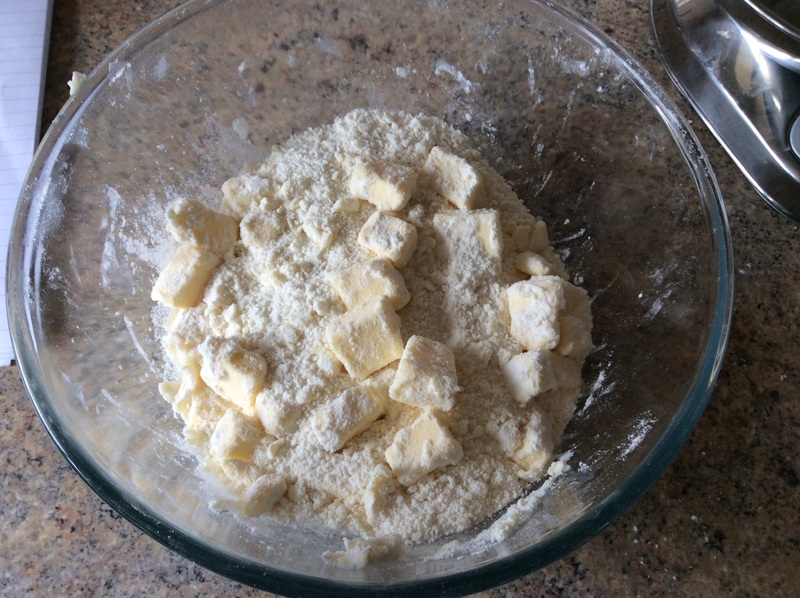 Then just put the rest of the diced butter into the flour and fold in to cover with flour. 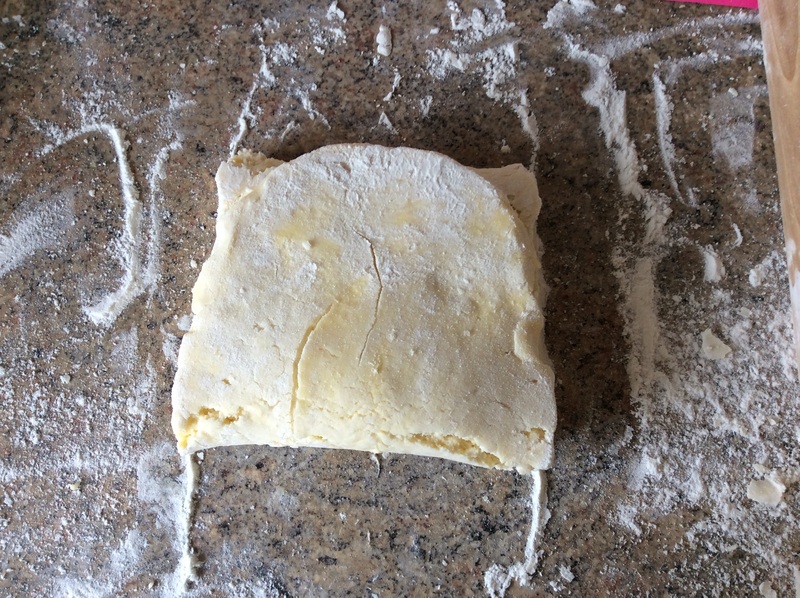 It’ll be these bits of butter that help to form the layers of the pastry and make it light and fluffy. Bring this then to form a dough with the cold water. Wrap this in cling film or greaseproof paper and place in the fridge for about 30 minutes. So that all the ingredients are the same, cold temperature. Now I know I have already said to make the Frangipan and Creme Patissiere, but you could also makes these within these following 30 minute windows. Both don’t take very long to make, and makes better use of the time. It is up to you. Wrap this in cling film (or greaseproof paper) and place in the fridge again, for another 30 minutes. Roll out again, going wider and slightly longer. Again top 1/3 down, bottom 1/3 up. Place in the fridge for 30 minutes more. Repeat this 2 more times. 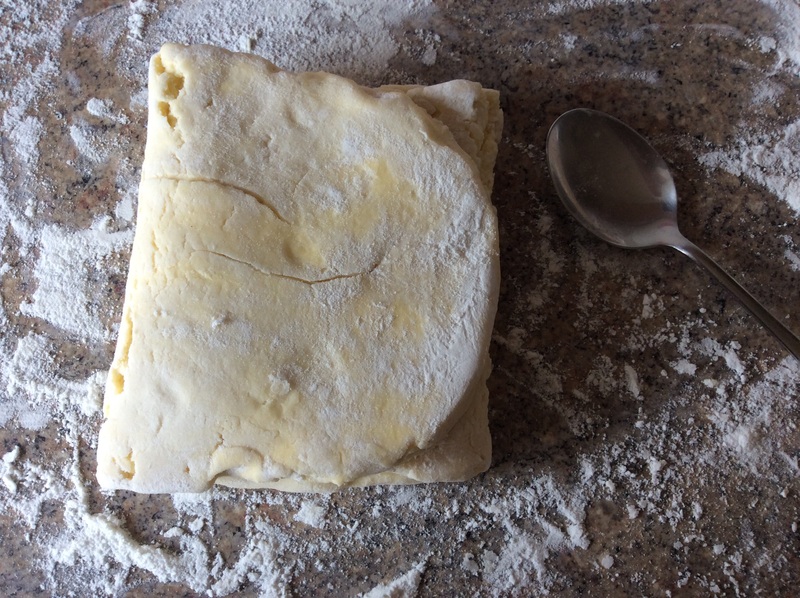 The gluten free pastry is then ready to use. You will need to re-roll the remaining pastry to get the required amount of discs, but I can assure you, the end result is not affected. 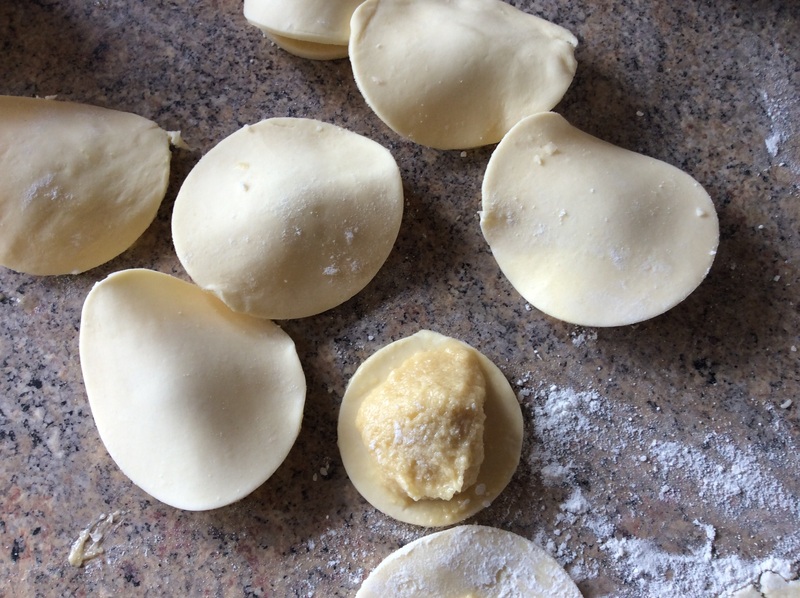 Place a teaspoon of the Frangipan mix onto the smaller discs and brush the edges with egg wash to ensure the pastry joins. Then cover with the larger discs. And just to be sure, place these in the fridge for a further 30 minutes resting and pre-heat the oven Gas 7, 200c. After 30 minutes bake in the hot oven for about 15 – 18 Minutes. 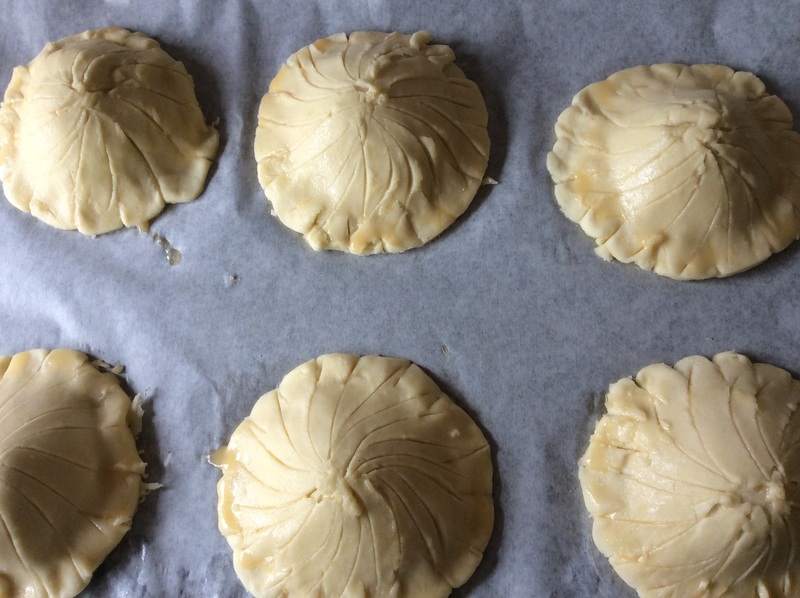 Until the pastry is golden and lifts off the lined trays. These can be eaten straight away, hot with custard, cream or creme fraiche or even with a fruit coulis, or cooled and eaten warm or even cold. If you are feeling a little brave you could put a small amount of jam with the Frangipan before covering – raspberry or apricot will certainly enhance the dish. Or even a fresh strawberry or a cherry. I was asked recently to bake a surprise gluten free fruit cake, for a guest at a wedding. The guest hadn’t no idea, but as is so often the case, those with Coeliac Disease or have a gluten intolerance, miss out. I was more than happy to help out and the surprise went down very well. I was even more surprised to hear that my cake sat next to the actual wedding cake! Luckily I had a suitable heart-shaped tin. At its widest its 11cm x 11cm and is roughly 4cm deep. But first comes the soaking of the fruit! Overnight I soaked 240g dried fruit – 100g sultanas, 100g raisins and 40g halved glacé cherries in 4 tablespoons of calvados. The following morning it was baking time! I lined the tin – base and sides with greaseproof paper and pre-heated the oven to gas 1, roughly 140c. I had to use a little paper clip to keep the sides together before I put the mix in. And removed it prior to cooking. Firstly sift together 60g gluten free plain flour (I used Dove Farm) 1/2 teaspoon mixed spice and 1/4 teaspoon nutmeg or cinnamon. Cream then 60g soft butter with 60g soft brown sugar. Beat in 1 egg then stir in the flour mix. Add then the soaked dried fruit with 30g chopped nuts (I used pecans) and 1 tablespoon of black treacle. Pour into the lined cake tin. As this cake takes a while to cook and because you don’t want to burn it, wrap the outside of the tin with more greaseproof paper and cover the top also. With the top piece of greaseproof, cut a hole in to allow some steam to escape. Bake then for approx 90 minutes, in the pre-heated oven in the middle of the oven. Remove when an inserted skewer comes out clean. Allow to cool in the tin, before removing from the tin and cooling completely. To store, I then wrapped in greaseproof paper and cling film and put in on top of the fridge. Then once a week, I unwrapped the cake and ‘fed’ with even more calvados, using about 3 tablespoons each time. Re-wrapped and left until the next time. As close to collection as I dared the cake was covered and simply decorated. Using roughly 200g white fondant and 200g marzipan and 50g warmed apricot jam.